I could wax lyrical about the almost alien-like magnificence of close-up slow-motion visuals of Megan Fox running toward the camera with her, let’s call them talents, being the focal point on the big screen. I really could, but I won’t, mostly because this is not that kind of article and also because I’m quite convinced if I copy and paste the word “drool” a couple of thousand times it will not make for the most interesting reading. Instead I’ll try to properly articulate an idea that hit me somewhere around 3am in the morning, which very well may end up being emotional drivel, frankly at the time of writing I’m quite curious to see where this ends up myself. Most of us have heard at least one, often negative, connotation to describe the relationship between man and machine, we even repeat and propagate them without thinking twice about it. I’m certainly not innocent in that regard, nor advocating we stop any time soon, it’s way too much fun calling an MX5 a hairdresser’s car, or calling someone clearly better off than myself as evidenced by the supercar they’re sitting in, posers. There are even sillier manifestations of this that simply blew my mind, until recently, at 3am in the morning. I realised, while being up contemplating life as I tend to do when dealing with a dire situation I found myself in, there is a common thread in some of those so called idiots we spot on the road. It is highly unlikely that any of them are out there with the intent to look like idiots to the rest of us, at least I hope so else it would further erode my dwindling faith in humanity. What is more likely is their chosen transportation device and how they behave while operating it is an escape of sorts, from daily life, from problems. 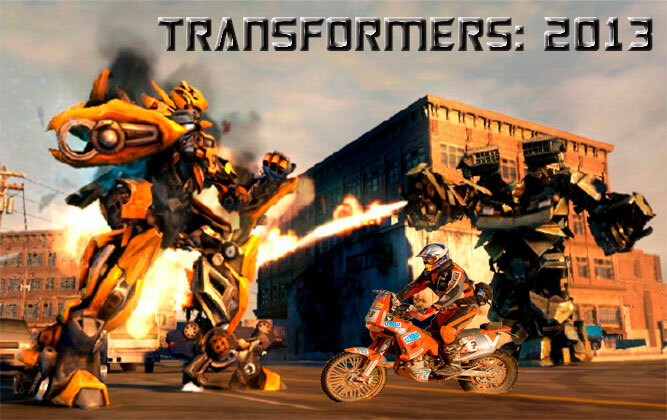 It is a reverse transformation; in the blockbuster movie franchise we see powerful robots transforming into cars to disguise themselves, here in the real world we’re pretty fragile, but a car transforms us into something more powerful and some of us give into it to become something better or get away from something worse. Naturally I feel I have license to comment on this as I belong to one of the groups that people just love to hate, you should be able to identify that group by the end. While my primal instinct is still to fling some faecal matter at most of them, I have come to respect the common thread between the different kinds of weirdo’s and irritants. Take the hugely incapable 4×4 that always parks on the pavement the millisecond an opportunity to do so presents itself, I’m willing to concede the driver does not act like that in his human form, hopping on tables indoors once the floor space becomes a little cramped. Similarly your average dentist with a Harley Davidson most likely does not make loud unrefined noises at home or wear outfits that belong in a Grease movie, and before my generosity runs out completely I’ll even admit that guy standing up on the foot pegs of his KTM possibly knows he is not really in the Dakar rally and he’d have more control and look infinitely less stupid sitting down on a tarred road in traffic. It might very well just be that it is a coping mechanism to deal with some or other problem, perhaps thinking of yourself as a pavement conqueror, a 60’s motorcycle gangster or an off-road champion is better than drowning in the sea of mediocrity. You may ask why their problems are more important than yours to the point where they get a free pass for being obnoxious and annoying. I fear it takes a better person than me to always consider the gravity of your problems when faced with my own, imagine a lonely soldier standing on top of a landmine for hours on end waiting for a brother in arms to walk by accidentally to defuse it and set him free. There are millions of people with much bigger problems than that, but if he spent any time worrying about them while trying not to slip and blow up I reckon he’s one amazing person, more so than most. I find the rush of adrenaline is currently the only thing providing any reprieve from a life turned upside down by the loss of the dearest friend one can ever hope to have. I hasten to add by adrenaline I mean the natural kind, not drugs, and by loss I mean permanent, but certainly not death. Let’s not milk the melodrama too much, that’s what reality TV and ill-timed ad breaks are for, but I will suggest we attempt some tolerance on the roads for all the idiots we love to hate. Next time you are cut-off, or even flipped off for good measure, can’t promise anything it isn’t scripted I swear. Whatever the specific dangerous high speed stunt is, next time you spot that “typical BMW driver who thinks he owns the road” have a heart; he may just be out trying to mend his. Previous Previous post: Why Has The World Gone Soft?